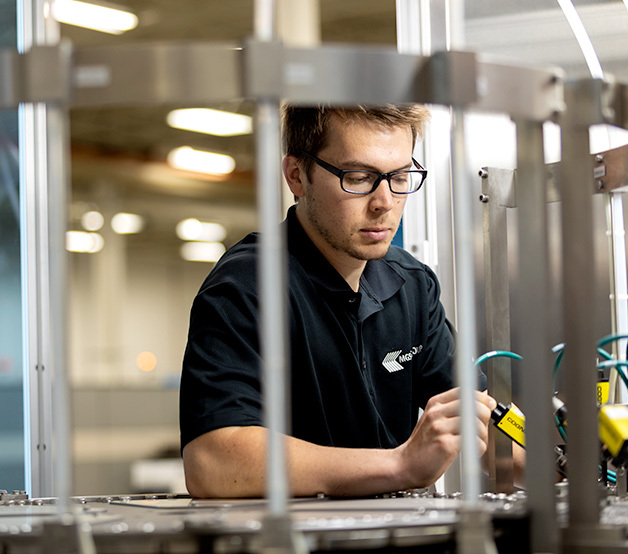 Maximizing uptime and effectiveness through the deployment of nearly maintenance-free design, our robust solutions excel at serviceability. 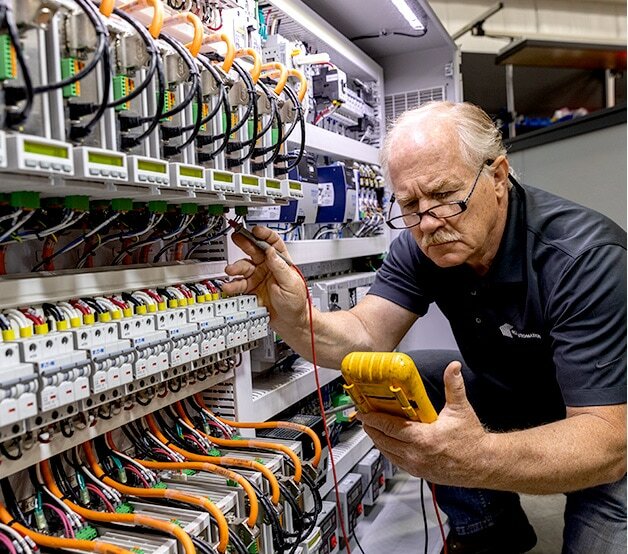 Utilizing state-of-the-art control hardware, our designs minimize control wiring to reduce connection points and ease troubleshooting. 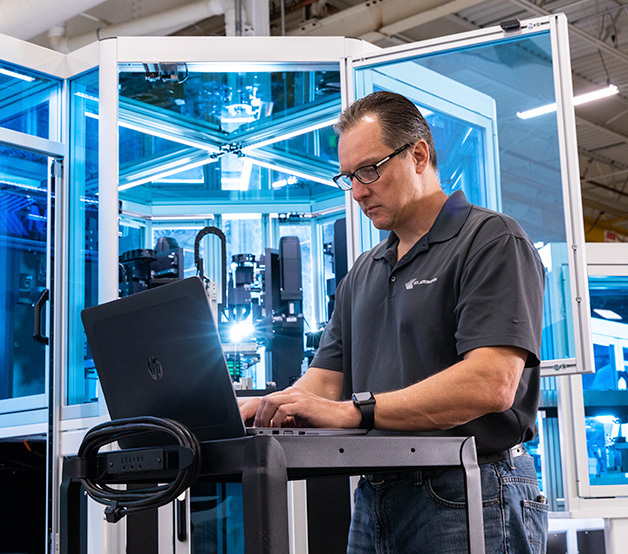 More intuitive and easier to use, our front-end software maximizes machine control, reporting and troubleshooting. 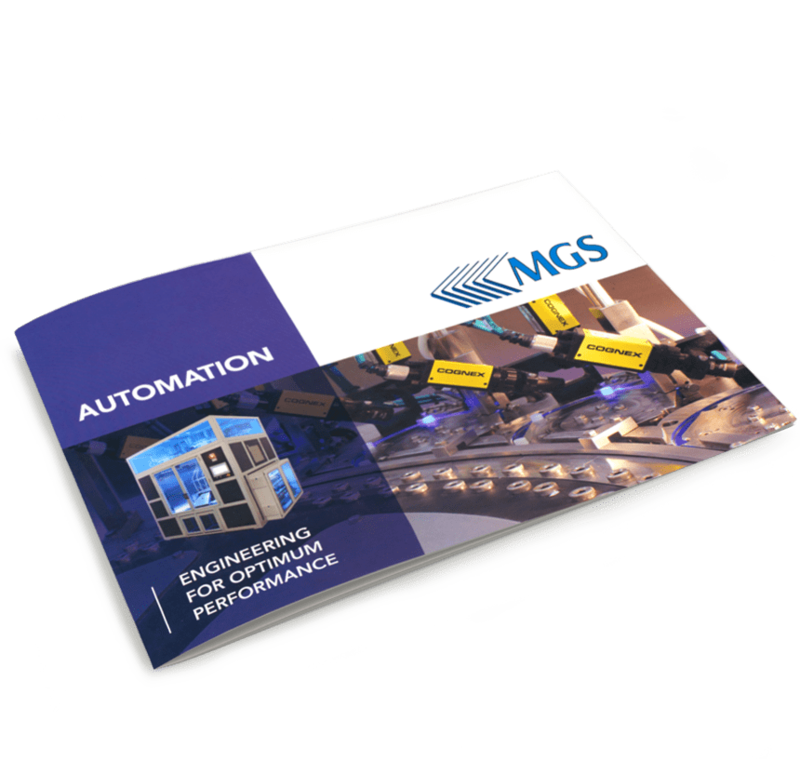 Solutions range from a simple semi-automatic benchtop work station to integrated press-side automation cells with fully autonomous downstream assembly/testing, offering independent and automated operations to produce a finished packaged product. 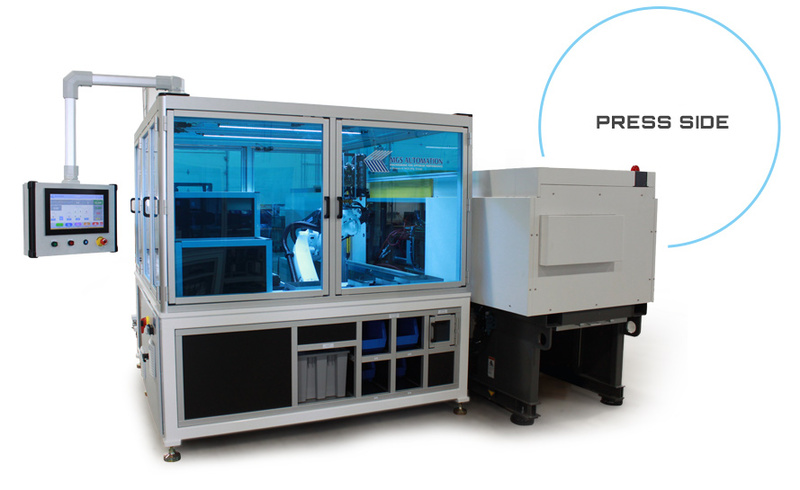 Operating our own equipment has given us the knowledge to deliver press and robot integration without requiring correspondence between the IMM manufacturer, robot manufacture and automation provider. 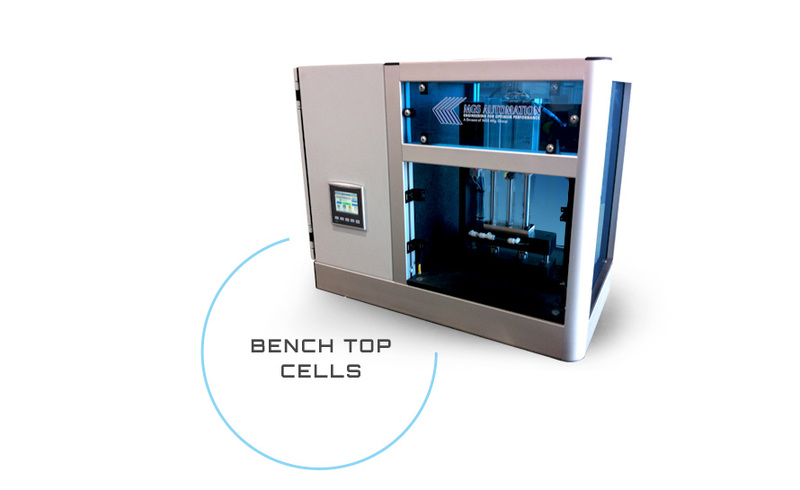 Ideal for parts and assemblies of nominal size and lower volume runs, bench top cells allow you to automate a process, eliminating expensive feeders and orientation devices, with little impact on manufacturing floor space. 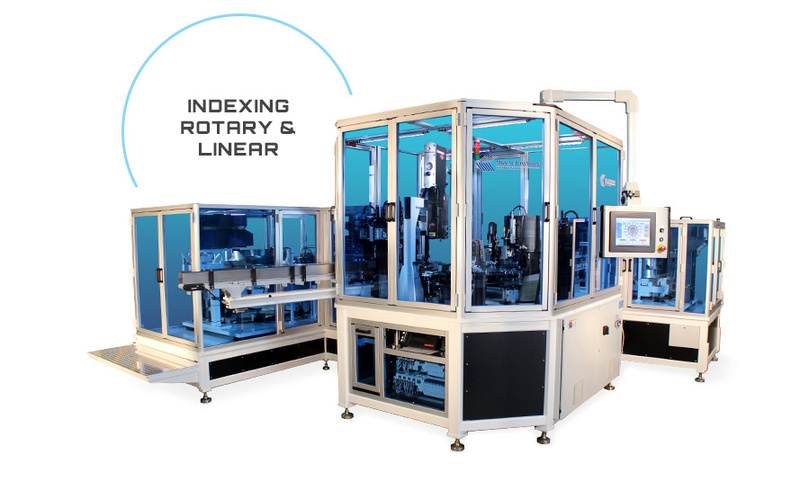 Providing solutions for nearly every application, our rotary and linear indexing systems are cost-effective assembly solutions for volumes requiring speeds between 10-150 parts per minute (PPM). 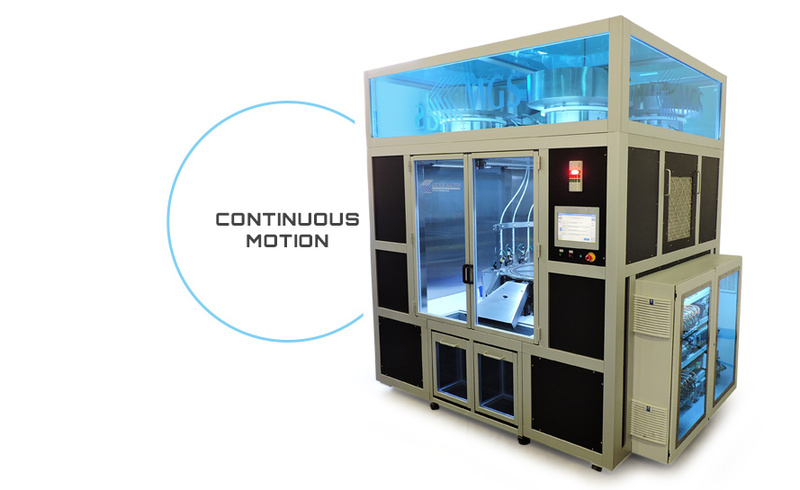 Primarily designed for high-volume applications (150-500 PPM), these low-maintenance, all-servo based systems provide maximum flexibility in sequencing for mix indexing using electronic cams. 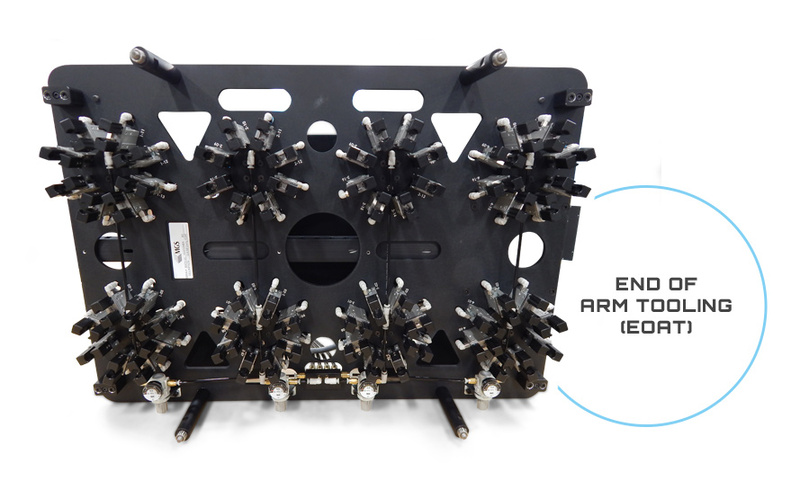 With fixed tooling designed for specific customer applications, our EOAT repeatable part handling systems are designed for high-precision/tight tolerance applications for all styles and brands of robotics. 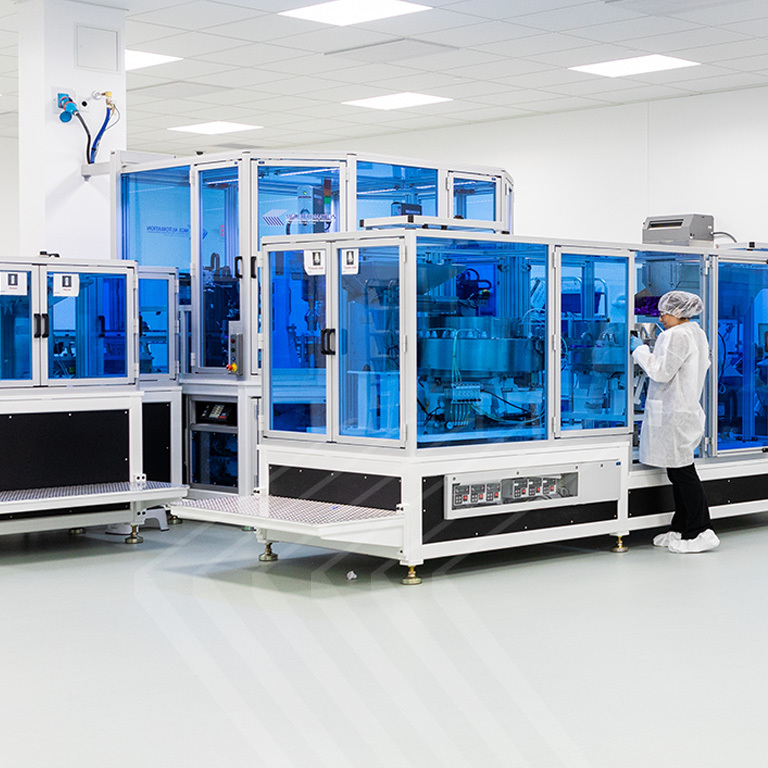 All automation equipment is Industry 4.0 (and Euromap 77 & 83) compliant while inherent design and fabrication standards are compliant to Class 8 cleanroom operations. 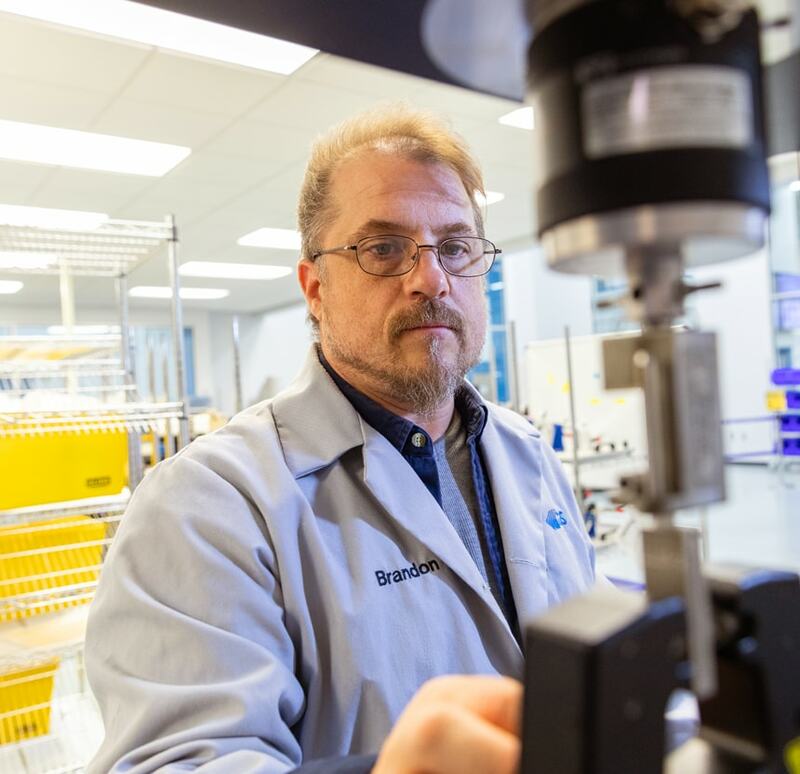 As the single most important function within any automated process, MGS takes quality seriously, investing in resource training and equipment to perform in-house feasibility studies before committing to process specifications.